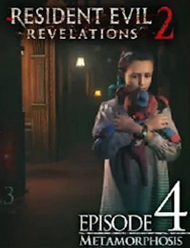 For the past three episodes of Resident Evil Revelations 2, we've been taken on a tour of all of the gameplay styles that have made up the Resident Evil franchise so far, all building up to this, what we assumed would be thrilling, conclusion. However, as interesting and purposeful as the design of the first three episodes was, Episode 4 just feels like a mishmash of things we have seen before. Instead of building to an amazing climax, the game just sort of limps its way into an ending, running you through some standard survival horror paces and leaving you feeling kind of empty inside. Once again, let’s go over what is pretty much the same from episode to episode. You will be controlling the same characters with the same controls, using the same weapons, and for the most part fighting the same enemies that you did all the way back in Episode 1. The environments continue to be the same grey-brown corridors all the way to the end, which I guess is par for the course for Resident Evil, but as I said in last episode's review, they start to get annoying and repetitive. It’s just another thing that makes this conclusion feel weaker than it should be. You’ll also see the same, though expanded, raid mode, if you are still playing it at this point, and it’s still as fun as ever, with everything unlocked as a bonus for making it into Episode 4. As far as gameplay goes, Claire and Moira do receive another small shift in tone. 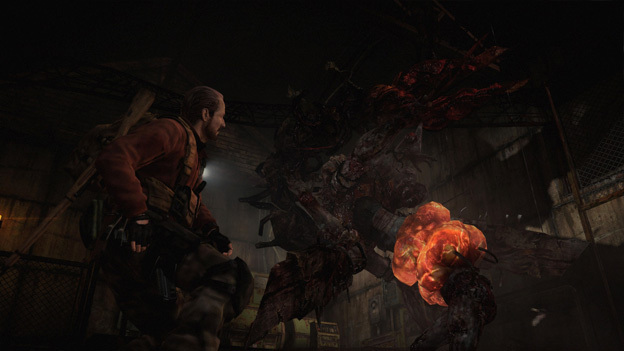 They get a pretty hefty escape sequence, reminiscent of Resident Evil 3. But otherwise it’s back to the same combat sequences we have seen before, with very little innovation thrown into the mix. You’ll fight some invisible enemies, but all this really does is give you an extra hurdle to jump over before you shoot them, same as any other. Still, of the two chapters presented in this episode, I’d say Claire and Moira’s is probably the more fun one. This, of course, makes it even more disappointing when you realize their chapter is far shorter than Barry and Natalia’s this time around. Barry and Natalia, on the other hand, are pretty much doing what they were doing last episode with some puzzle solving and light combat. The danger of these situations is increased, which gives everything a sense of urgency as they have to deal with more enemies and environmental hazards, but this doesn’t make their gameplay feel different or fresh and new, just more difficult. Even the boss from last chapter is re-used, which makes Barry and Natalia’s chapter feel like an gameplay afterthought - paradoxical, considering that this is the longer chapter and will probably be what you remember right before you head into the ending. The sense of enjoyable co-op gameplay has faded this time around. 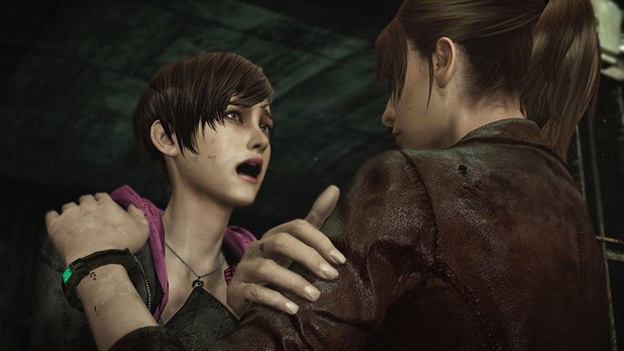 The helper characters have far less of a prominent role, considering the climax of the game is all about combat, or in Claire and Moira’s case, running. For a game that seemed to really focus on multiplayer in previous episodes, player 2 is really just along for the ride this time. It feels almost like the game is betraying its own already proven formula, which feels as perplexing as many of the other design decisions for episode 4. As is usually the case with Resident Evil titles, this game has multiple endings, and both are actually pretty interesting. The “good ending” even has an extra bit of gameplay that serves as a nice sting to the whole experience. The problem here is that the triggers that determine what ending you get lie in previous episodes, which means you have to go, at the very least, 2-3 hours back in order to get the other ending. I’m going to level with you, you aren’t going to do that. Instead, you will probably just watch the other ending on Youtube. The endings also only reveal so much about the game. In fact, the story in general is delivered in a kind of clunky and unimpressive style this time around. Our new Wesker doesn’t have the same campy wonder that the old Wesker had. Her generic evil villain motivations don’t do much for me, and her long monologues about becoming a god just feel flat and devoid of personality. To get the full experience you still have to pick up collectible notes and journals, which are super long and hand you too much exposition all at once, especially this late in the game. You will be very tempted to skip them and just make your way to the final encounter, which once again leaves you in the dark and tempted to just hit up Youtube.